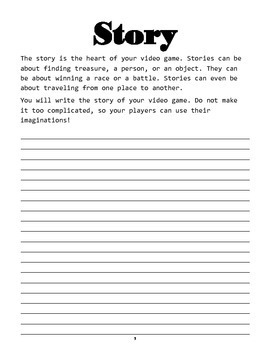 Have any students wanted to design a video game, but do not have the technology to do so? 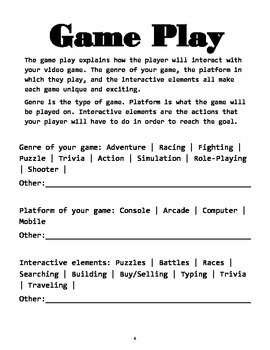 This is a design packet that contains the elements that are in developing video games, without the need for any computers or video game design knowledge. Students can work alone, in pairs or small groups, and can utilize their strengths to complete the elements of design. 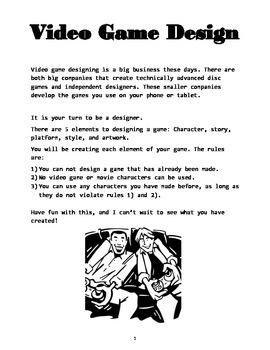 This can be used as a rough draft or the presentation for video game design lessons. 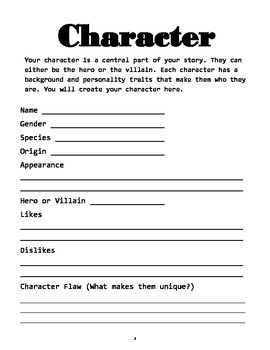 Each page can be developed separately based on difficulty level and student's personal abilities.